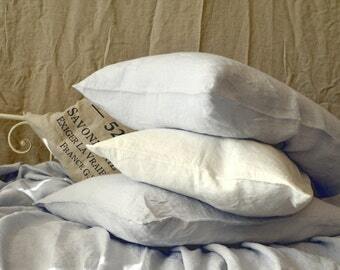 The listing is for 1 "Provincial Living" pre-washed and softened natural linen pillowcase. 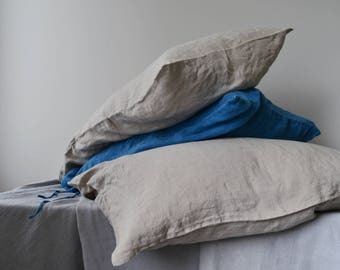 ✅ COLOUR: These pillow cases are made from undyed, dark shade natural linen (flax), which could be described as taupe colour- a mix of brown and grey. 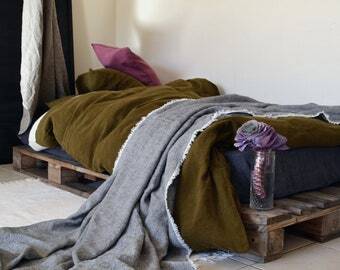 Highest quality natural linen woven into contemporary works of art ...subtle and timeless. Lovingly and thoughtfully designed and crafted to grace the finest of homes. 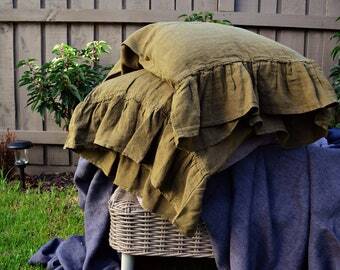 Provincial Living bedding is made from heavier weight softened, pre-washed pure linen fabric. Decorated with hemstitch details and exquisite crocheted lace. Envelope closure at the back of the pillow. 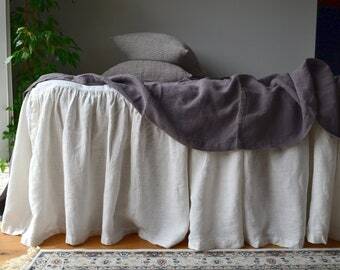 As all our bedlinen have been pre-washed, no more shrinking occurs after washing. 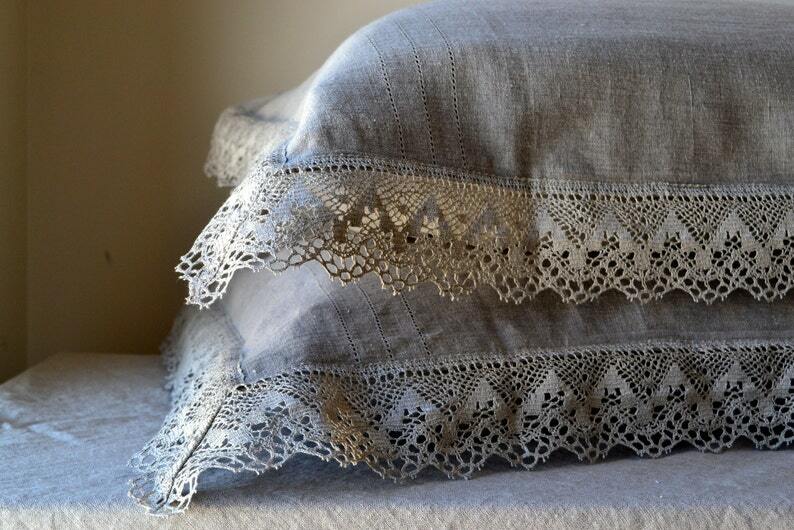 Linen lace will shrink a little after washing, thus adding more vintage charm to the whole appearance. You may want to iron the lace if you prefer it to remain neat and wide. Care instructions: gentle machine wash, can be tumble dried occasionally on a very low heat, no ironing required to maintain vintage look and feel. No dry cleaning. White linen pillow case. Pure white or Antique white. White linen bedding. Pillowcase available in all sizes. Very very pleased. Love the linen lace. Beautiful touch. The pillow case does not have any way of closing and it looks odd. The fabric doesn’t drape correctly on that side because there is no way of closing the case. A simple button or tie should be there. Beautiful pillow cases of excellent quality! So pretty, and practical. I can recommend this product wholeheartedly.